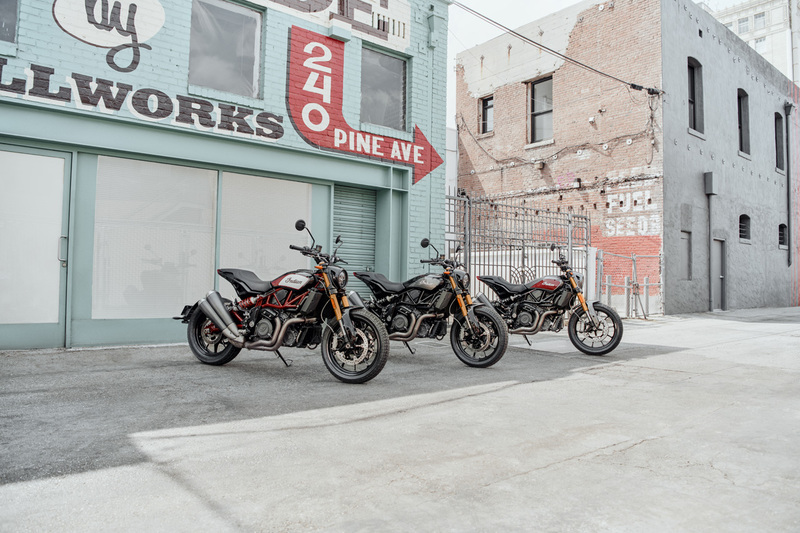 The FTR 1200 and FTR 1200 S are propelled by a powerful new liquid-cooled 1203cc V-Twin engine making approximately 120 horsepower and 85 ft-lbs of torque. A flat torque curve ensures a progressive, predictable power delivery with loads of low-end punch and flexibility. The engine features a 12.5:1 compression ratio, high flow cylinder heads, and dual throttle bodies for optimal airflow and power. Additionally, the engine covers make wide use of magnesium to reduce weight and utilize a low-inertia crankshaft that allows the engine to rev quickly for immediate response and thrilling acceleration. *Specifications are preliminary and subject to change. 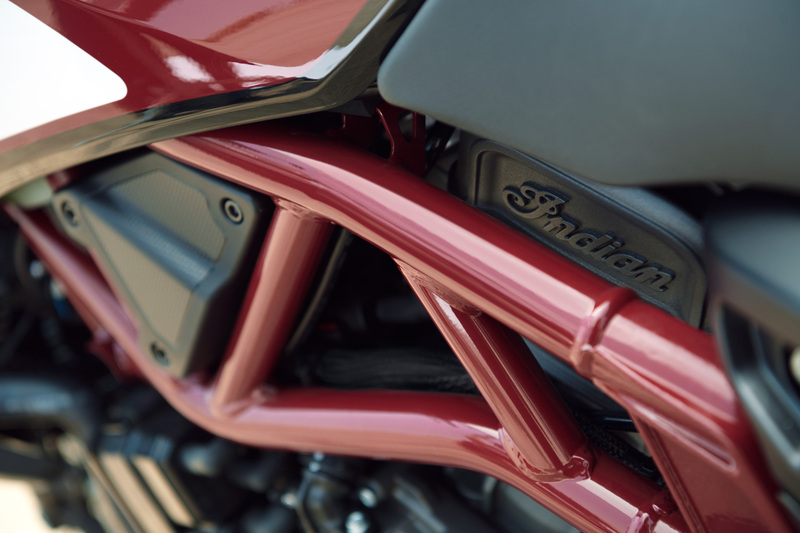 The fuel tank on FTR 1200 and FTR 1200 S is strategically located under the seat to make the bike feel more compact and give it unmatched agility. This design centralizes the mass, lowers the center of gravity, and allows for an optimal airbox placement directly above the engine. Fuel capacity is 13 liters. 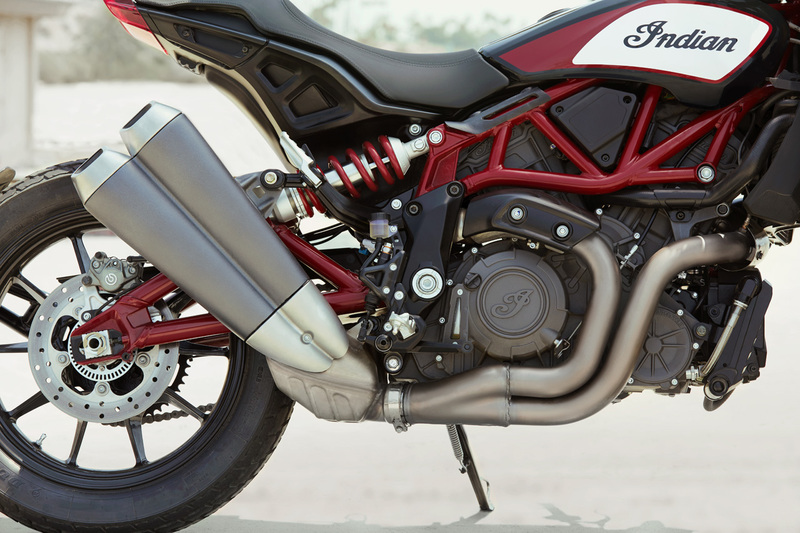 Similar to the FTR 750 race bike, the airbox on the FTR 1200 and FTR 1200 S is placed directly above the engine to optimize airflow and maximize power. 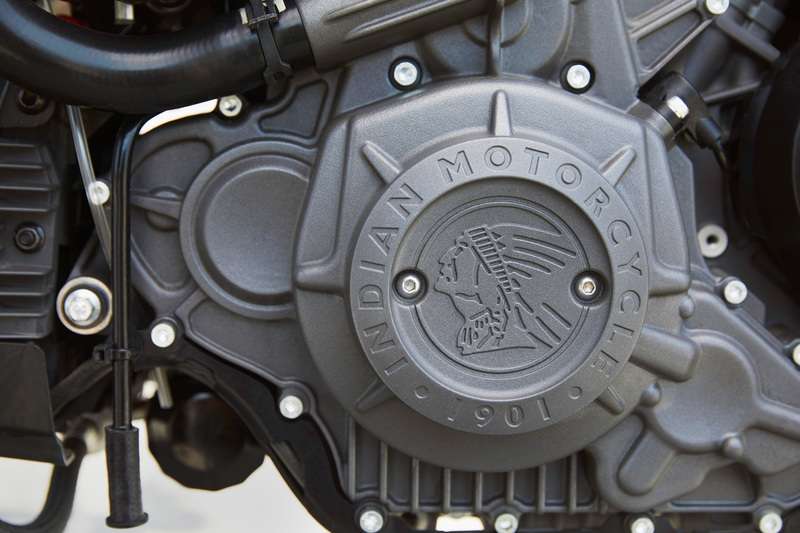 Each bike’s intake features Dual Mikuni Throttle Bodies and Electronic Throttle Control. 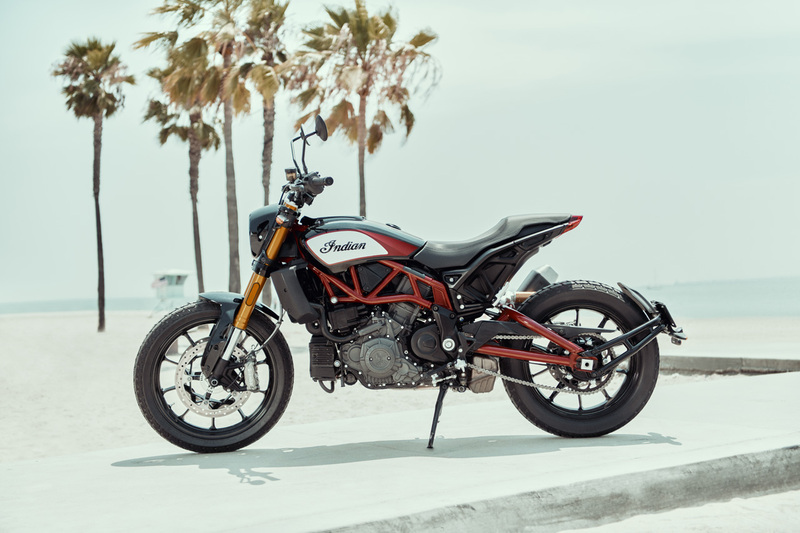 The FTR 1200 and FTR 1200 S feature a tubular trellis style steel mainframe with an aluminum rear subframe that optimizes rigidity and minimizes weight. The design features a single side rear shock mount and aluminum support parts, including the rear engine mount, midframes, and front head mounts. The frame also includes removable passenger hand-holds. The front suspension of the FTR 1200 and FTR 1200 S are comprised of 43mm upside down cartridge forks with 150mm of travel. The front suspension has a hollow axle to minimize weight, with a 26.3° rake and 130mm of trail. The gold FTR 1200 S suspension is fully adjustable with preload, compression and rebound adjustments. The FTR utilizes a similar rear suspension and swingarm design as the FTR 750 race bike, with a tubular steel construction and a side mounted monoshock with 150mm of travel to ensure maximum grip and compliance. 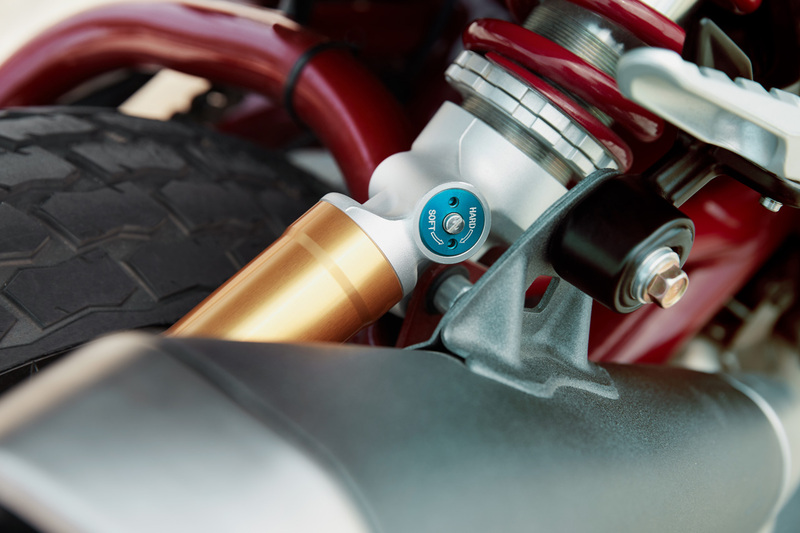 The swingarm pivot attaches to the engine’s crankcase in order to keep the wheelbase more compact, while a hollow rear axle helps reduce weight. The FTR 1200 features a monoshock with preload and rebound adjustments, while the FTR 1200 S features a monoshock with an aluminum piggy-back reservoir that is fully adjustable for preload, compression and rebound. 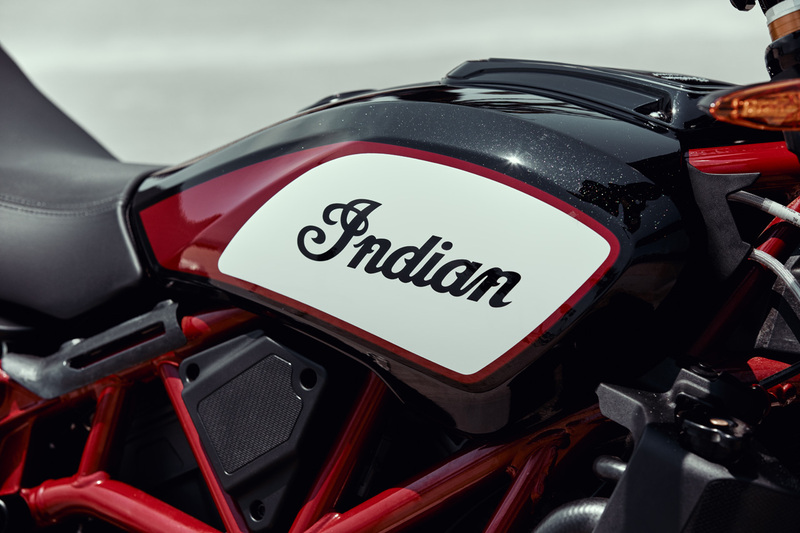 To further follow the style and design of the FTR 750, Indian Motorcycle worked with Dunlop® to create an all-new flat track-inspired street tire that is exclusive to the FTR. 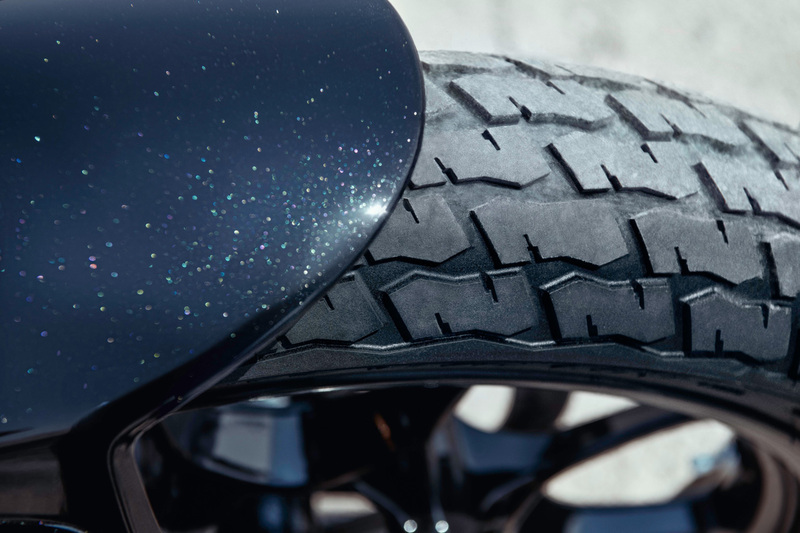 Modeled after Dunlop’s DT3 flat track race tire, the DT3-R on the FTR1200 and FTR 1200 S are modified for the street – featuring closer tread blocks, a shallower tread depth, and additional silica to increase grip and improve wear. Both the FTR 1200 and FTR 1200 S feature 19-inch front and 18-inch rear light weight cast aluminum wheels. 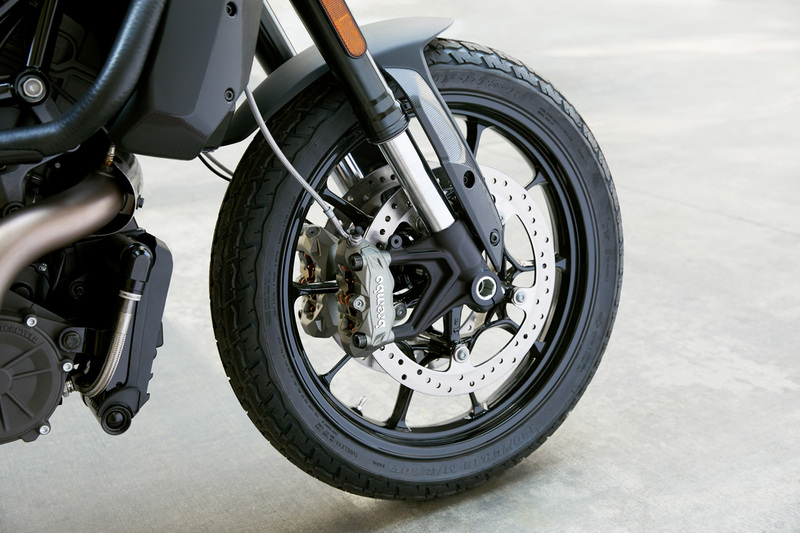 The FTR 1200 and FTR 1200 S feature dual radially mounted 320mm disc front brakes that are mounted directly to the wheel to decrease weight. Brembo® Monobloc M4.32 4-piston front calipers ensure exceptional control and stopping power. A single, 260mm semifloating disc with a Brembo® P34 2-piston caliper provides stopping power for the rear. ABS is standard on both models. Both models feature a power-assist slipper clutch inspired by the race clutch used on the FTR 750 race bike. The design reduces rear-wheel slip during deceleration for more control and creates a light clutchlever pull. The 6-speed sliding mesh transmission ensures easy, crisp gear changes. The gear primary drive creates a smooth power delivery and requires minimal maintenance while the chain final drive more effectively transfers power to the rear wheel. 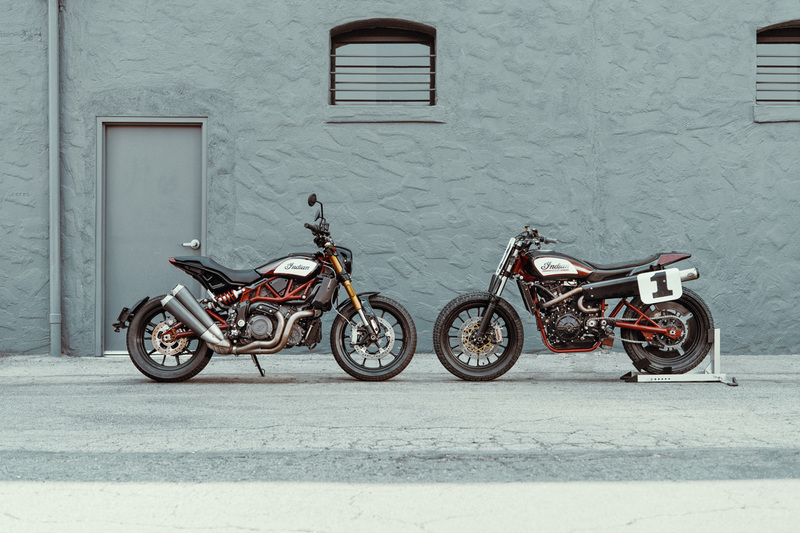 The FTR 1200 and FTR 1200 S feature a flat track-inspired 2-1-2 design with brushed stainless-steel construction that provides a uniquely American V-Twin sound. 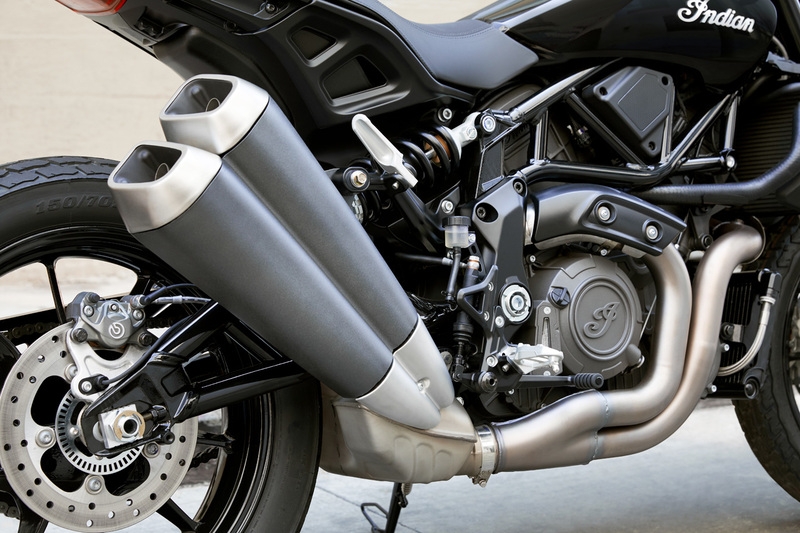 Riders looking to upgrade their exhaust can select between a low and high mount Akrapovic® slip-on exhaust that enhances the sound and style. Both models feature full LED lighting, including a new high output headlight to improve visibility. 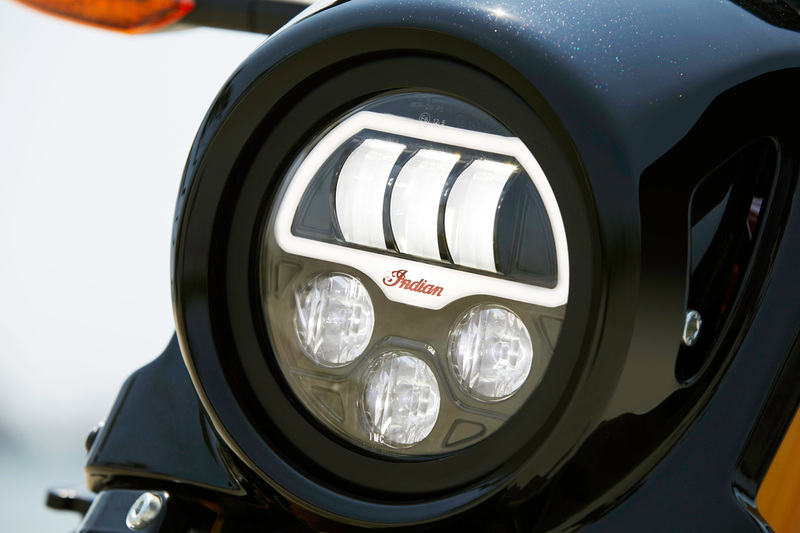 The Indian Motorcycle Script running light provides an unmistakable face for the bike. Cruise control comes standard on both models to ensure a comfortable ride. The FTR 1200 S features a host of additional ride enhancing technologies to let riders further customize the bike to their riding style. 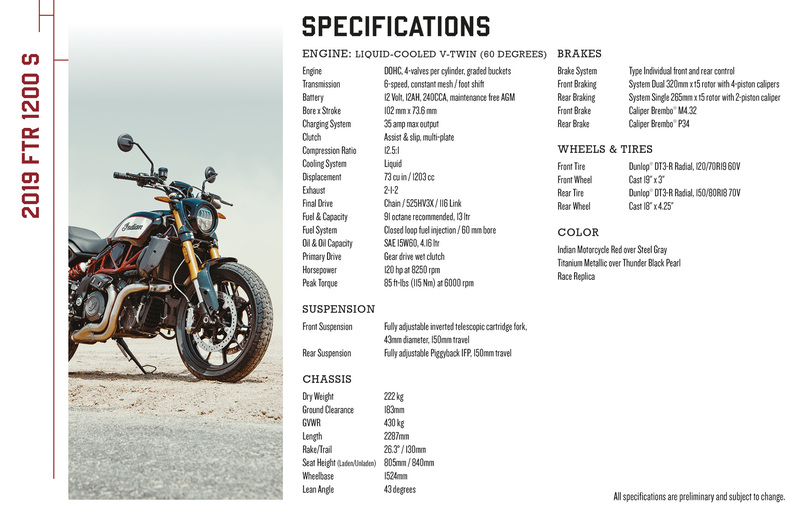 It features stability, traction, and wheelie mitigation control with an inertial measurement unit that allows for lean angle sensitive adjustments to these systems to provide more control and confidence. Riders on the FTR 1200 S also have the ability to disable ABS. 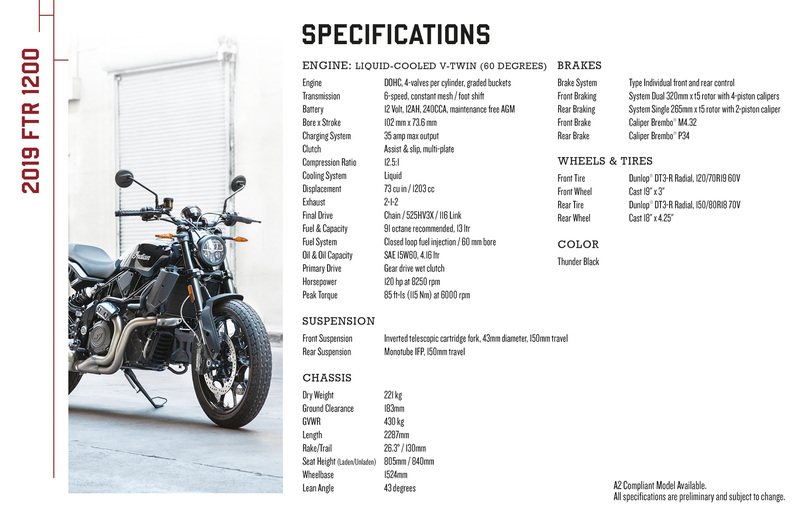 Furthermore, FTR 1200 S riders can select between three ride modes; Sport, Standard and Rain, with unique throttle response and traction control intervention levels to further customize the bike to their riding preference. The FTR 1200 features a 4-inch analog gauge with a USB fast charger that lets riders quickly charge mobile devices. The FTR 1200 S features an all-new 4.3-inch Ride Command LCD touchscreen display with high visibility and contrast so it’s easy to see in any lighting condition. The display includes Bluetooth® and a fast charge USB port so that riders can easily pair mobile devices and control their phone and music from the display. 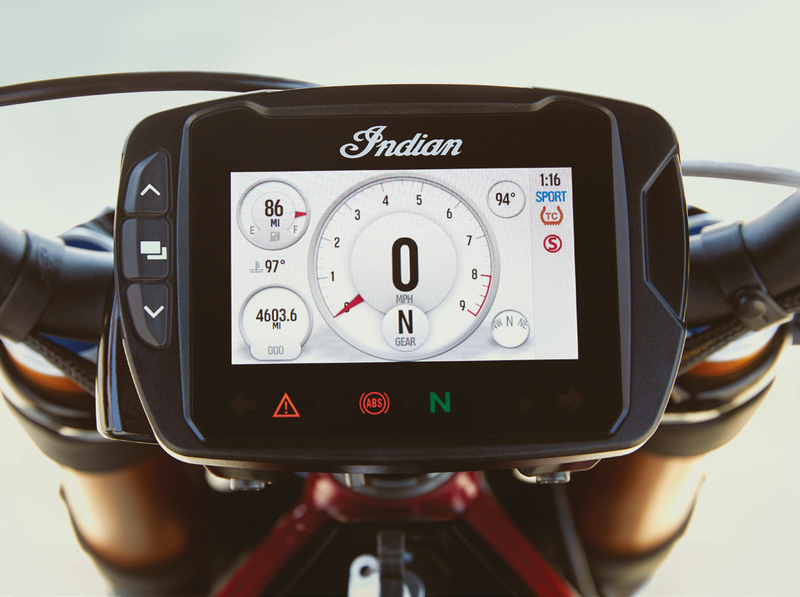 The display is customizable so riders can select a variety of configurations for the bike’s speedometer and gauges.